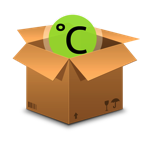 Climate Basic Package | BeNext B.V.
With the Climate Basic Package of BeNext you save at least up to 20% or more on gas-usage without loosing the warm touch of your work-space or home. In most cases it is your gas-usage that is responsible for the biggest costs on your energy bill. BeNext offers this discounted package deal to empower you to save critically on your energy bills. 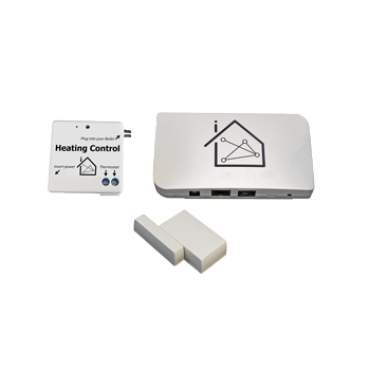 Start saving money by taking control over your heating system. You can even manage savings remotely within our free of charge online manager together with your smartphone, tablet or PC. When leaving your house simply switch to the ‘Away Scene’ to activate a dormant state of your home considering gas-usage using Boiler Control. Also, you can individually regulate the radiator valves with Danfoss Radiator Control when rooms or office spaces are not being used, adding more savings to your energy bills. What would you do with all that extra money? Stay in touch with your usage within our free of charge online manager which even gives insight in your electrical-usage behavior and acts as an platform for many other home automation features.